Clip these elegant decorative charms to your stemware so you guests will always know which glass is theirs. Crafted from solid pewter with lustrous silver finish, your wine charms are sure to be the talk of the party. 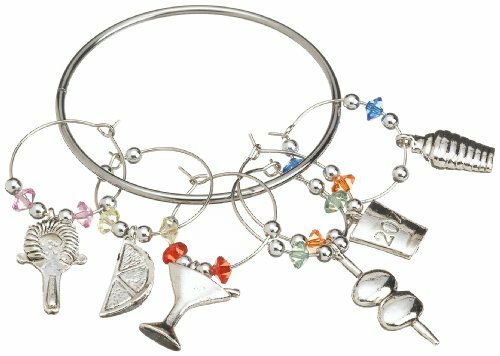 Holding ring keeps charms neatly together for beautiful display on wine bottle or convenient storage. Set included 6 wine glass charms. If you have any questions about this product by Prodyne, contact us by completing and submitting the form below. If you are looking for a specif part number, please include it with your message.